Last night the mozzies were out in full force chomping on the teen and her mates as they sat in the front yard doing teen things. By the time I got them inside there was lots of scratching and groaning going on. I said "I have two words to say to you ..."
Stupid idiots. Wear Aerogard. Told you! Aloe vera is known as a "vulnerary" which means it helps to heal wounds. We use it to sooth insect bites, burns, scratches, scrapes and apparently it can also sooth psoriasis. It's as easy as breaking off a piece, opening it up and rubbing the gel like aloe onto your skin. If you want to help sooth sun burn, then pop a piece in the fridge first to cool it down and increase the sooth factor. I hear that researchers are finding new uses for aloe vera all the time. I've only ever used it as a topical "cream" but others eat it. Apparently it's good for relieving heartburn, preventing plaque build up on your teeth (used as a mouth wash), lowering blood sugar and as a laxative. They say it's high in vitamins, minerals. amino acids and fatty acids. We all know that it's good for the skin, but did you know it is widely used in the cosmetic industry? We love it for mozzie bites because it acts as an analgesic to relieve "pain" plus it's an antipruritic which relieves/prevents itching. Oh, and as a bonus it's also an astringent which causes body tissue to contract which helps reduce bleeding from minor cuts and abrasions. The medicinal use of aloe dates back to ancient Egypt and is native to North Africa, Southern Europe and the Canary Islands. The fact that it has a very high water content means it's a great way to hydrate and moisturise the skin. I've done some reading into using it as a beauty treatment and some people apply it directly to their face to keep themselves looking youthful and wrinkle free. I think I'm going to need a bigger plant. 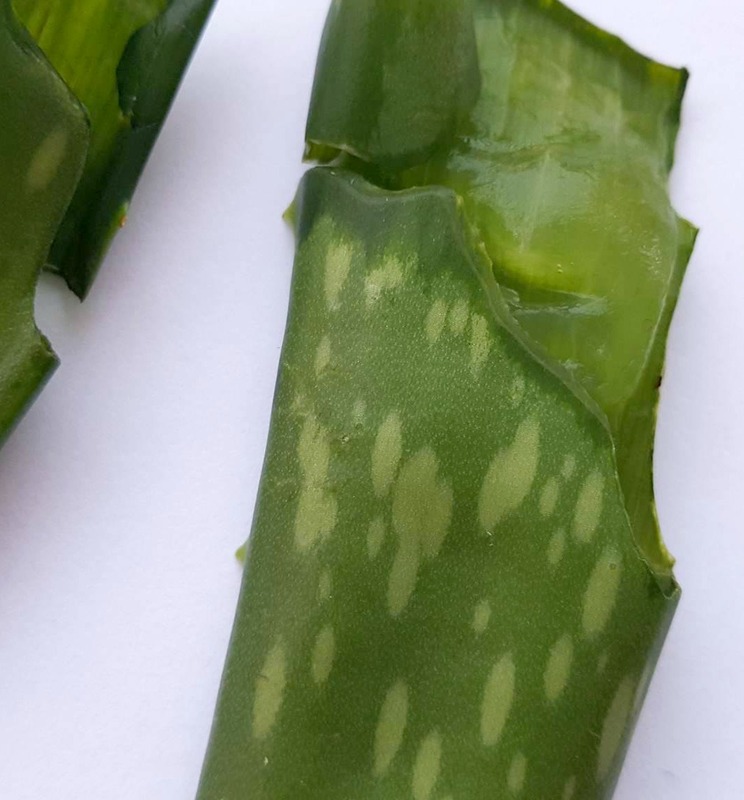 Anyway, as I sat down to blog this morning I found a bunch of broken up pieces of aloe all over the couch from last night's mosquito infestation. I could yell and scream about how teens need to learn how to use garbage bins, but then I wouldn't have had anything to blog about. So there you have it. The healing power of aloe vera. Do you have an aloe vera plant? Information source: Happy and Raw, Health Line, Marie Claire Magazine, Authority Nutrition and The Global Healing Center. Yes, we do have an aloe vera plant. It reminds me of my grandad. He used to break his aloe plant off daily and rub it all over his skin - even his balding head which would make his comb-over stand up funny like Something about Mary. I want to get more of them. They're amazing. My friend had a colony of them and makes beauty products from them. Nature is amazing. I had no idea you could have one in a pot! Now I want one! I remember breaking bits off one when I was a kid - at a friend's house. But it was a monster of a plant - bigger than me and I was already adult size by then! I just assumed that was the size of all aloe vera plants. Aloe vera is a superfood apparently but I'd much rather apply it to my skin than ingest it. We don't have a plant but we always have some of the gel in the bathroom cabinet - it's great for mossie bites, burns and sunburn. Perhaps I need to get myself a plant so I can get my aloe direct from the source?! There's something I had forgotten about....good old aloe vera. I am very attractive to mozzies and living on the coast I need to be wary of being outside at dusk. Good idea to use nature where we can instead of the chemicals! 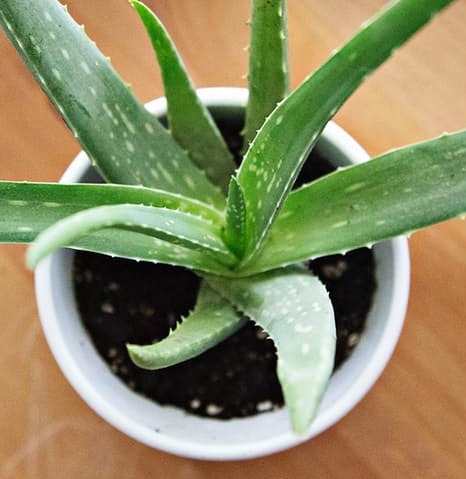 I don't have a plant but it's in my go-to first aid cream that covers burns, bites, cuts and everything else inbetween. We have one and use it for everything! We had one at our last house and I really miss having it. Must plant one again, they're the best. No we don't and I really want one! My Mum has one and I've been meaning to take some of it for years to grow in the backyard and never remember. This post has reminded me, so I think I will grab some on Christmas Eve when we are there and put Dave in charge of looking after it! My Uncle used to swear by his aloe plant. Good all rounder! We used to use it all the time in Darwin, but I haven't seen one in SA ever I don't think. I should get one. It's a great plant to have around.